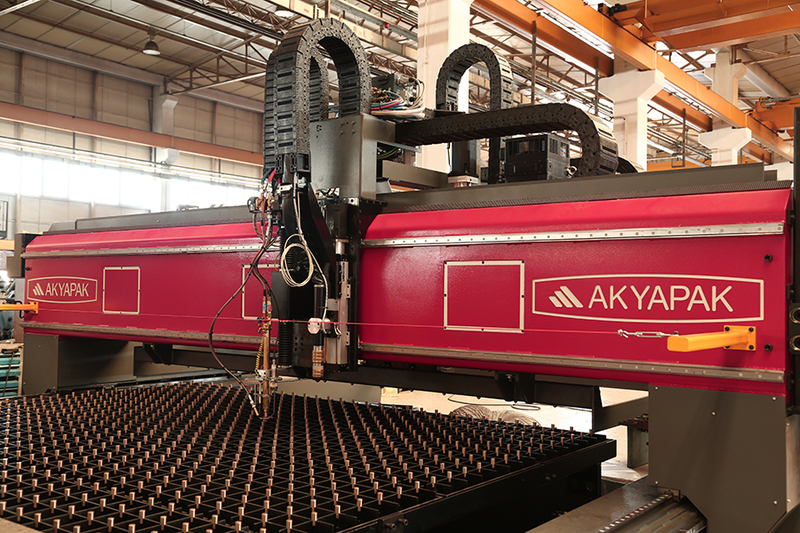 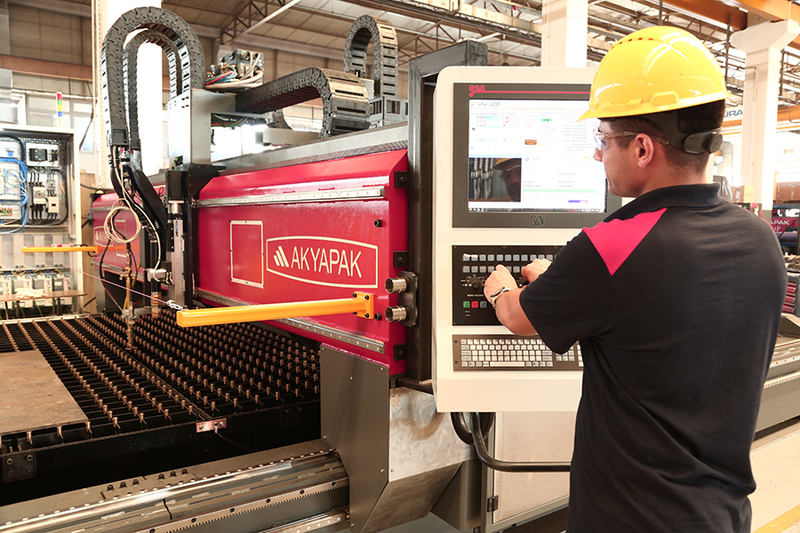 Akyapak raises the bar in terms of productivity in steel construction manufacturing industry with its GANTRY model. 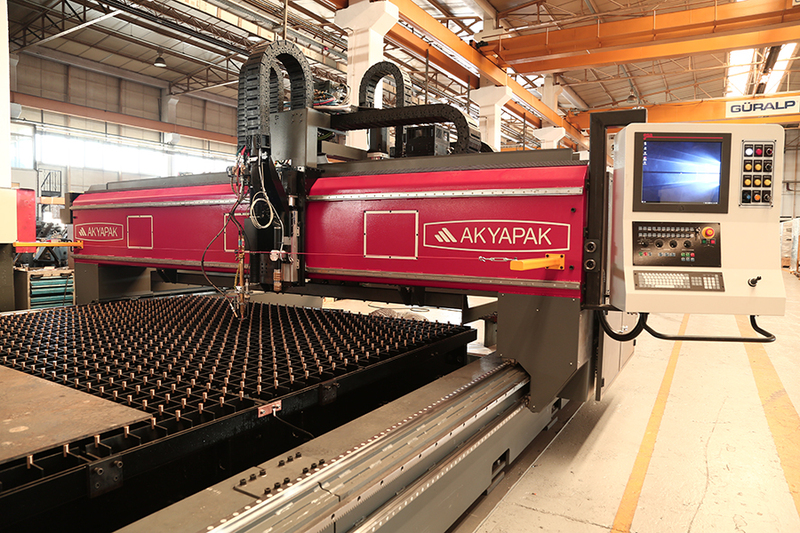 The model is able to perform cutting and light milling on plate by moving the bridge in a minimum field when the material is fixed. 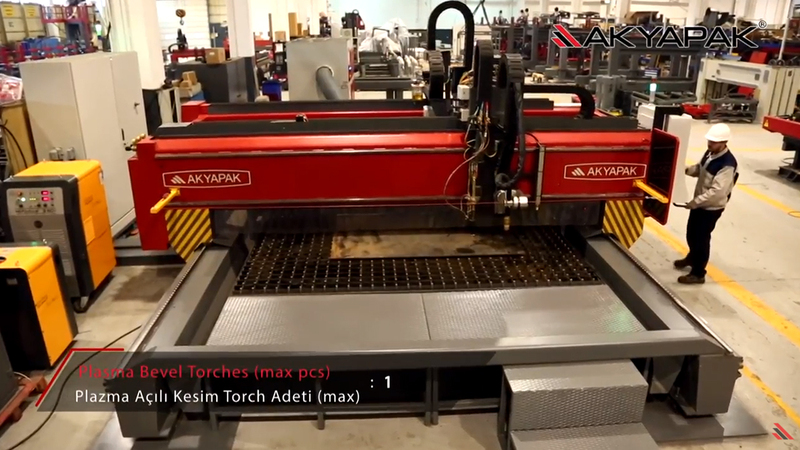 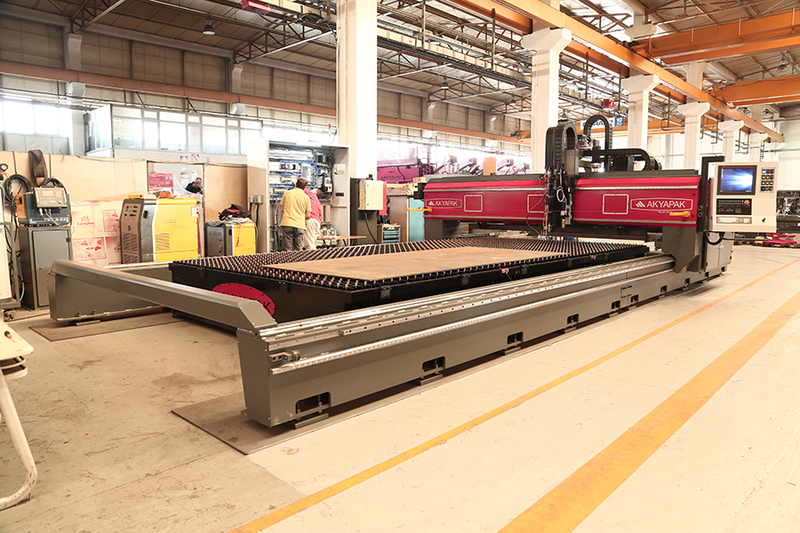 The bridge moves on GANTRY while the machine table is fixed, and the model has a hole drilling center with 22 kilowatt power, and plasma and oxygen cutting unit. 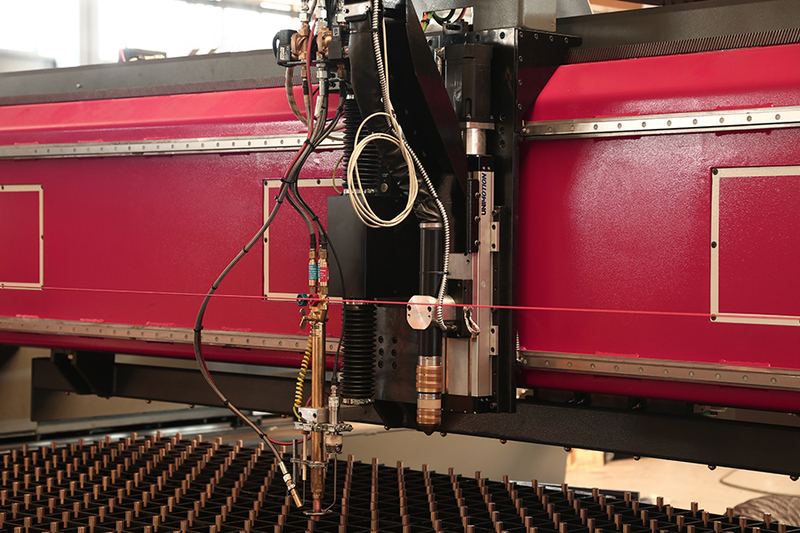 The smallest version has a 2-meter width and its length starts from 6 meters, while the largest version has a 4-meter width and its length ranges up to 36 meters. 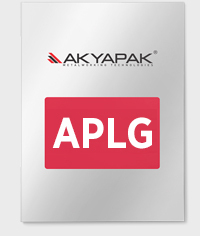 With this model, Akyapak is environment-friendly, as well. 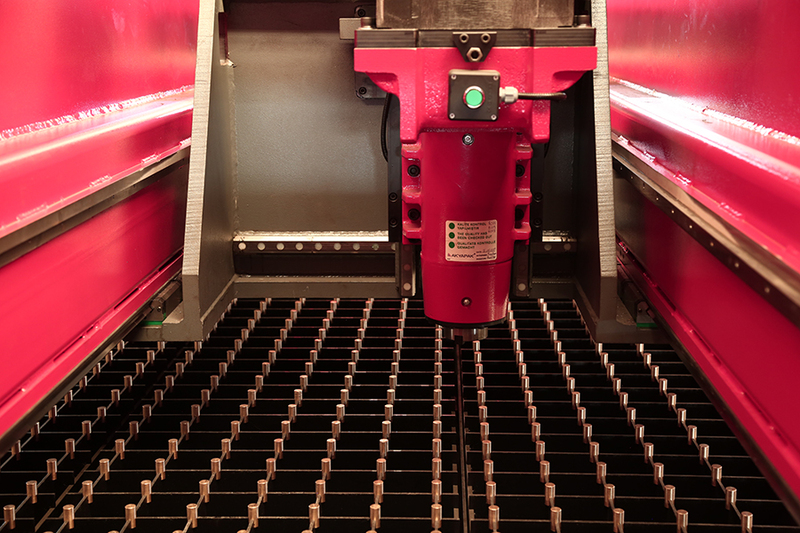 Gases exhausted as a result of plasma and oxygen cutting are collected from the fixed table and filtered, and emitted into the environment as clean gases.